The first of the elimination rounds is already behind us. As always, the series were packed with thrilling games, upsets and surprises. At the end of it all, when the dust settled, Errick McCollum of Galatasaray Odeabank Istanbul emerged as the weekly MVP thanks to his index rating performance of 29, the highest among all winning players this week. McCollum scored 21 points (10 of 10 free throws), pulled 5 boards, dished 7 assists and drew 8 fouls to lead his team into the quarterfinals in Game 2. Julian Wright of Dolomiti Energia Trento was next this week as he also led his team to a win and the next round with his index rating performance of 27 (21 points, 8 rebounds, 2 assists and 3 blocks). Completing the best performances of the week, Dee Bost of Stelmet Zielona Gora and Jamel McLean of EA7 Emporio Armani Milan had performances of 25 apiece. 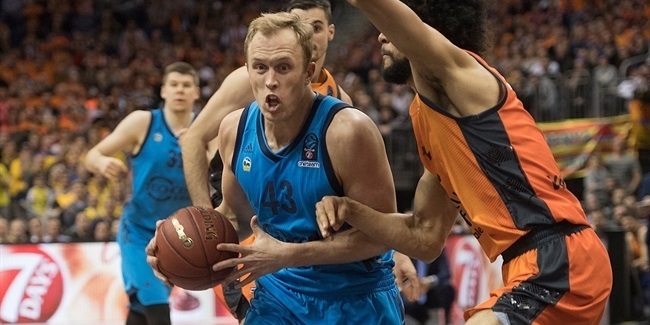 Ryan Toolson of Zenit St. Petersburg said goodbye with a bang as his 24 points were the highest mark of the week, but not enough to make his team advance. Two players were tied atop the rebounding rankings with 11 apiece: Matt Howard of Strasbourg and Victor Rudd of Nizhny Novgorod. 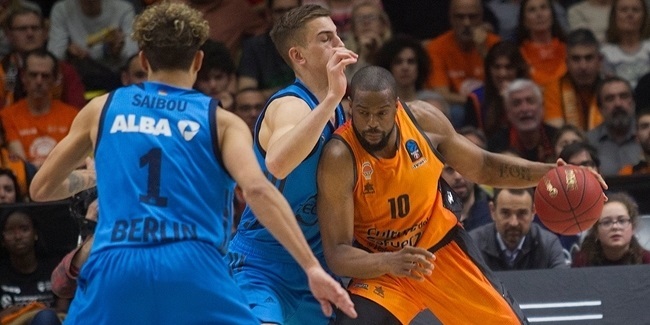 As many as six players had an impressive 7 assists each this week: McCollum, Bost, Mardy Collins of Strasbourg, Zabian Dowdell of Zenit, Courtney Fortson of Banvit Bandirma and Jordan Taylor of ALBA Berlin. Four players led the steals rankings with 4 apiece: Bost, Rakim Sanders of EA7 Milan, Andres Forray of Trento and Mateusz Ponitka of Stelmet Zielona Gora. 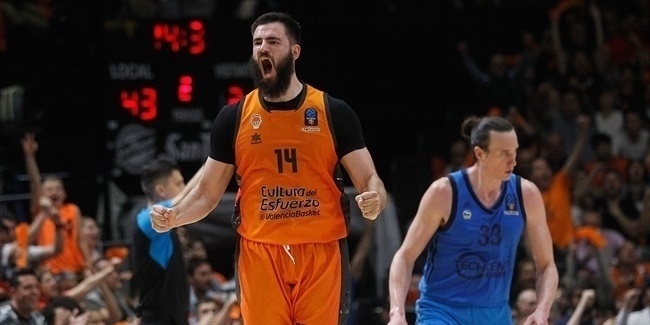 Finally, Viacheslav Kravtsov of CAI Zaragoza was a giant under the glass thanks to his 5 blocks.